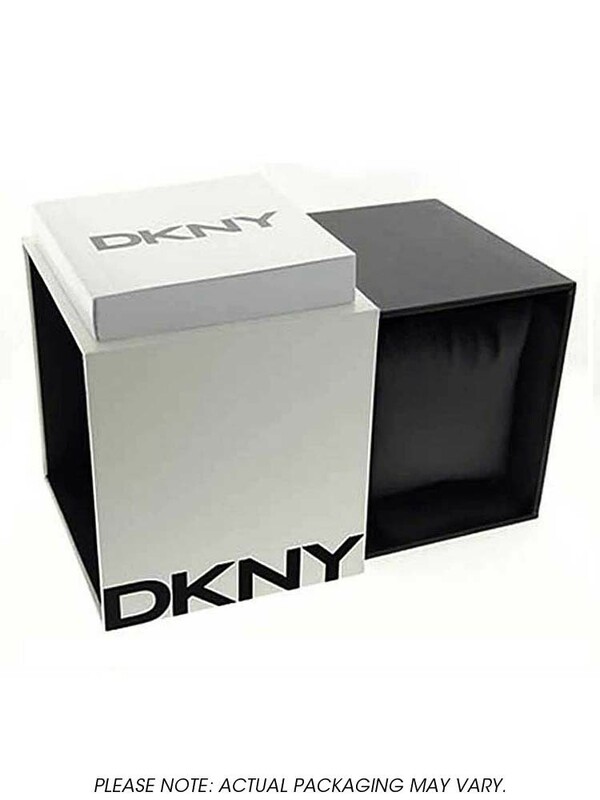 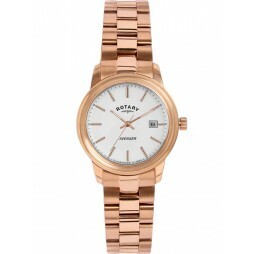 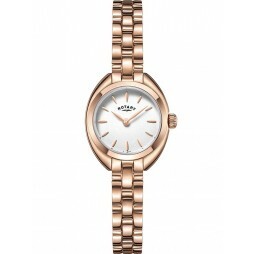 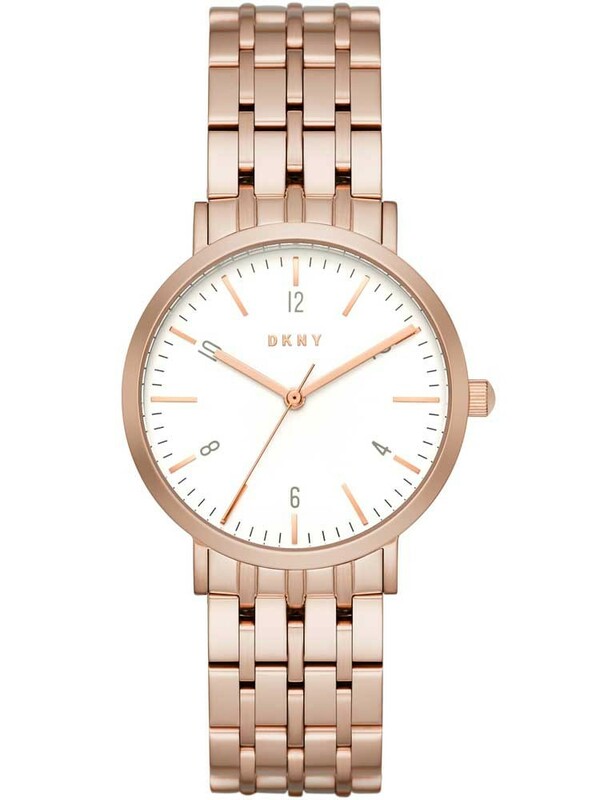 A stylish ladies timepiece from the Minetta Collection by DKNY. 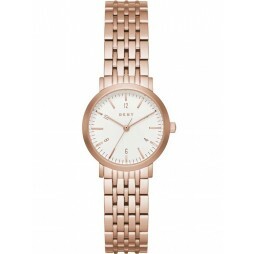 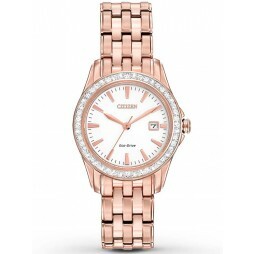 Featuring a rose gold tone stainless steel bracelet and matching case, housing an elegant white dial with rose gold hands and hour markers. 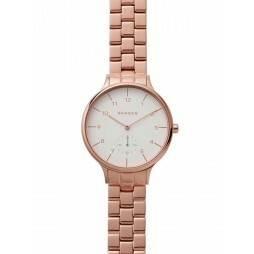 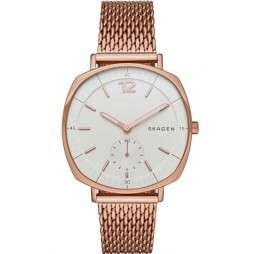 A gorgeous watch whose minimalist design provides versatility, allowing this watch to compliment any outfit for any occasion.